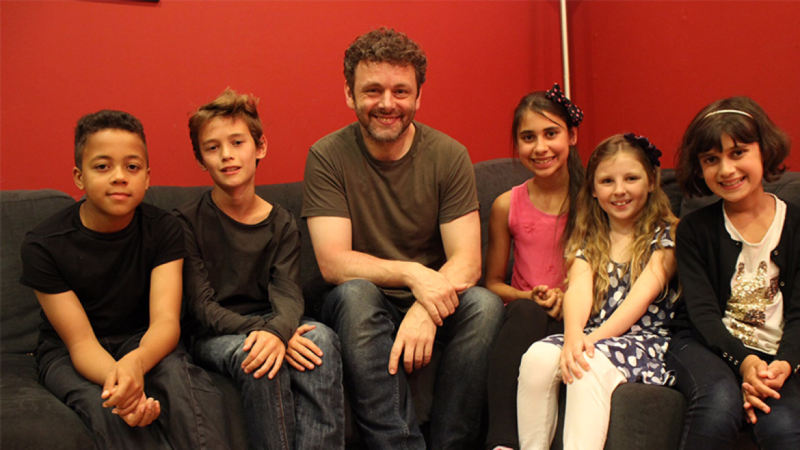 Ahead of the release of his latest film, Alice Through The Looking Glass, we spoke to our Ambassador Michael Sheen, who performs the voice of the White Rabbit, a.k.a. Nivens McTwisp, in the new fantasy adventure. 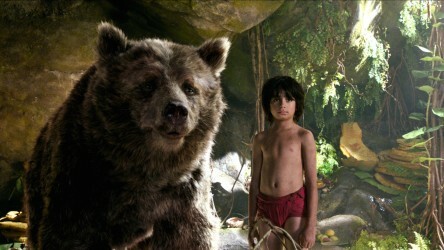 "The first film I ever saw in the cinema was The Jungle Book. I was about 5 years old and my sister was 2. 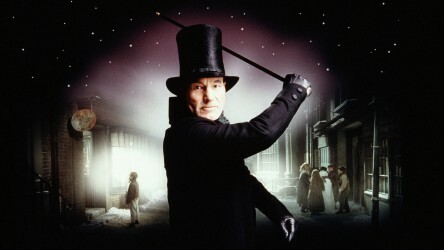 It was the first of many films I watched that were based on classic books. I'm fairly certain I didn't read the books themselves until after I watched the films in most cases; films like Alice In Wonderland, Peter Pan, The Wizard of Oz, and Charlie & The Chocolate Factory. When I was growing up it was watching films that had the most profound and lasting effect on me. As a young boy in a small Welsh steel town I was able to travel to other worlds and live many different lives. And, at times, see my own world and experience reflected back to me in the most unexpected places. I was on that motorcycle when Steve McQueen jumped the barbed wire fence in The Great Escape. I felt the rush of air on the back of my neck as the house collapsed around Buster Keaton. I got drowsy with Dorothy in the field of poppies on the outskirts of the Emerald City. I didn't observe these things, I experienced them - and they became a part of my life." "Children and young people who may not respond to more traditional teaching methods can often be engaged by film. It can cut across all socio-economic backgrounds and allow children who may struggle in other areas a chance to engage in a fully participatory way, with all the benefits to self-confidence and self-esteem that can accompany that. Film watching and review writing is a great foundation on which to build literacy and a wider engagement in learning. It sparks conversation and curiosity and very quickly leads to discussion of fundamental and important issues without feeling like 'schoolwork'." 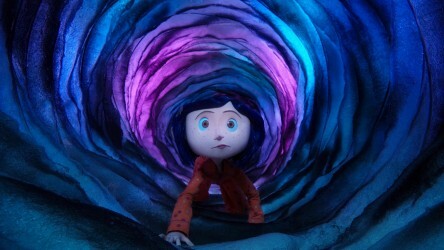 I think film can play a really important role in the development of children and young people. It can inspire and challenge. It can educate and inform. 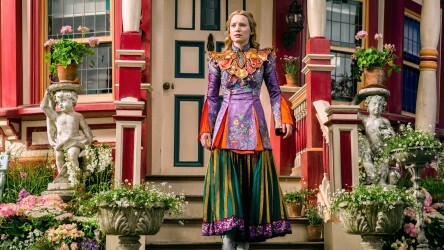 Alice Through The Looking Glass is one of hundreds of films inspired by great works of literature. Watching and discussing these adaptations in class or a school film club, as well as being enjoyable, can shed new light on a character, highlight themes in a novel that students haven't previously considered, or introduce them to an author that they didn't think they'd like. As educators are increasingly coming to realise, film is more than just the carrot after the stick of ploughing through a book with young people. It is a vehicle through which students can see literature in a new light, access new worlds and fantastic experiences, and which can encourage them to seek out and read the original stories for themselves. Film club engages reluctant readers and writers into sharing and forming their own opinions with independence. Film brings children together in lively fun discussions, offering lots of children experiences through visual images they just don't get in their everyday lives. We look at how the new live-action version of The Jungle Book combines cutting edge technology with emotional depth to refresh the story for a new generation.